It had been a while since I talked to kids about bees, and I forgot what great questions they come up with. 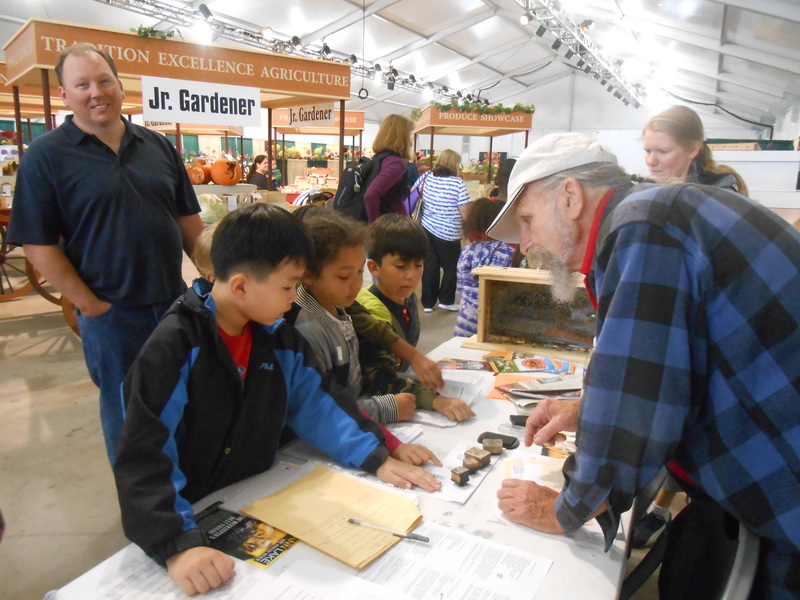 On Friday I volunteered at the Washington State Fair at the Bee Booth, and spent four hours talking about how cool bees were, pointing out the queens in our two observation hives and stamping tiny hands with rubber bee cut-outs. It must have been field-trip-to-the-fair day because it seemed like every 15 minutes another group of tiny people showed up, shepherded by their taller teachers with the neon yellow flags. With little kids you give them the run-down of what the worker bees, drones and queen look like, ask them how many eggs do they think the queen lays, and then ask if they know what bees make. But this wasn’t quite good enough for one kid who kept asking me where the queen’s dad was. If we had been talking about a human monarchy, it wouldn’t have been difficult to explain the queen’s dad was the former king, or something like that. But with bees, it stumped me briefly. It sounds a little Jerry Springer, but here’s the answer: That queen came from another queen who had lots of babies from different fathers…so we don’t know who the father is. 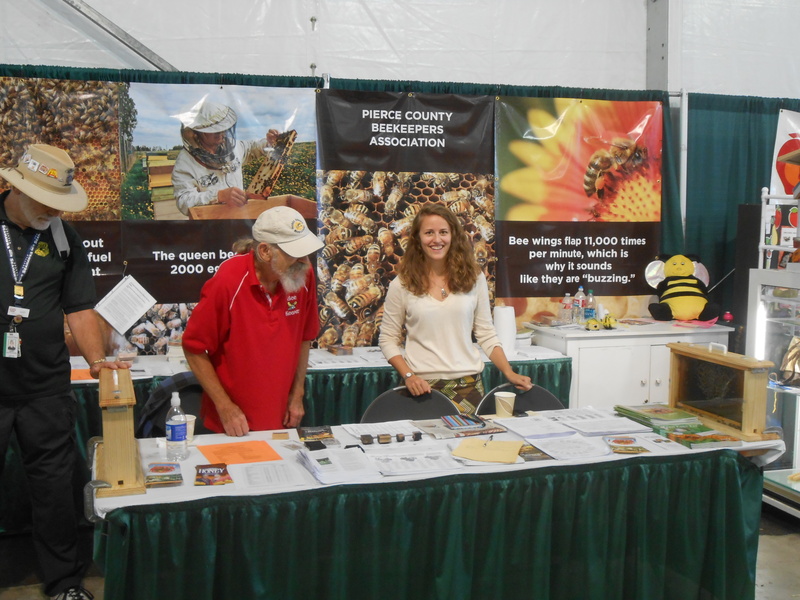 Good times at the bee booth.